Out on the back porch of a stucco house where orange marigolds grew and dotted the background of my early childhood memories. Star Wars valentine candy boxes: I couldn't resist snapping a shot of these at the store. 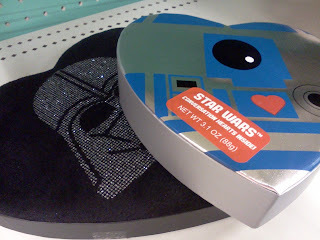 I'm pretty sure I won't be taking any tips from Darth Vader on love since the kind he gave was pretty adversarial....R2D2 gives a much better kind of love - he's like the trusty friend who is ready at a moment's notice to go on any kind of adventure with you. And because he's always nice and makes cute little noises, you're always glad you brought him along. 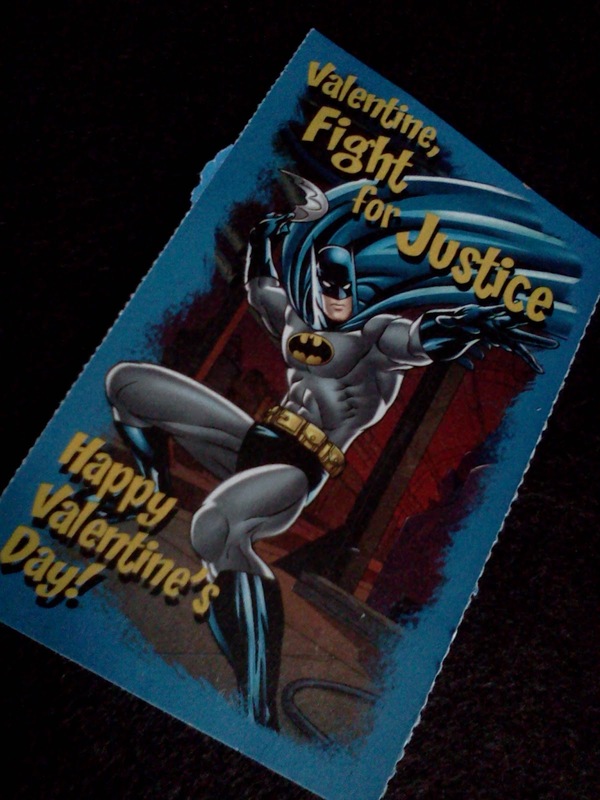 Batman would like to remind you that even on Valentine's Day, he is busy out there fighting for justice (although with abs like that, there wouldn't be much time left over after his workouts for much else). The 1960s was when the first wave of Gen Xers was in their earliest years, so some Gen Xers remember watching Batman on TV when the show first aired. I happened to catch a few minutes the other day of an interview with Adam West who played Batman in those days. He mentioned that those who talk about the largest pop culture influences of the 1960s will mention The Three Bs: The Beatles, James Bond, and Batman. boys at school would play Transformers on the playground. 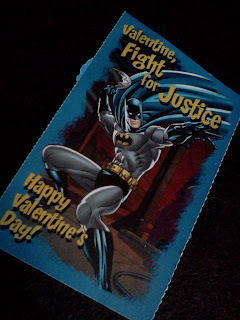 May all your Valentine's Days be filled with retro characters from your Gen X youth. 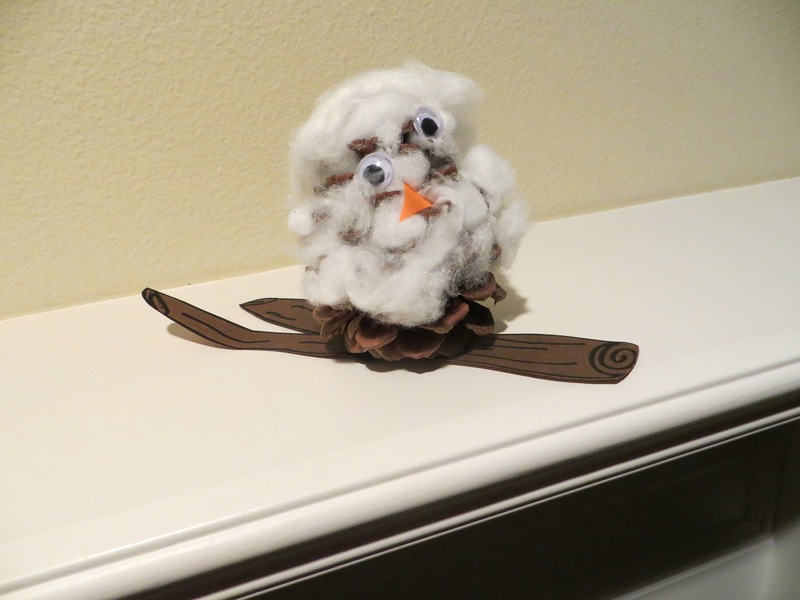 This little guy has sat perched up on our mantle, like he has been waiting for some sort of special attention. Today, on Facebook, Beverly Cleary asked her fans to send in a photo of an animal like one Ramona and her sister painted in art class. 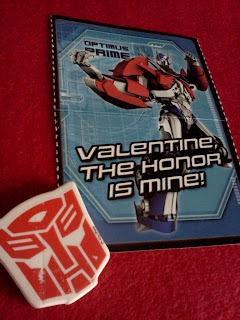 I am sending this picture to her, along with my thanks for her endearing influence on my generation. I really loved the Ramona Quimby books - Ramona helped me to sort out a lot of my own thoughts in childhood, she sparked my imagination (I would also pretend my closet was an elevator that would make an imaginary descent) and she is a character that has been a part of me and many others my age ever since. Thank you, Beverly Cleary, for your writing - you've had a huge influence on Generation X.
Beverly Cleary has been given a very long list of awards, including the Newberry Medal, and the Laura Ingalls Wilder Award. She has been named a "Living Legend" by the Library of Congress. Below is the very last image I have for The Gen X Chronicles series. Of all the photography I did at the Reagan Museum, this image may be my favorite. One section of the Reagan Museum features gifts that were given to the Reagans out of diplomacy from Heads of State and others during the 80s. I had to snap a picture of this little trio - this piece looks so intrinsically Gen X and reminds of me of many little figurines I saw in my early Gen X years. The one in the middle is me...and the links below will take you to the blogs of two other Gen Xers who round out the trio! I forgot to take a photo of the sign describing the image above - I think it came from Eastern Europe, but I can't remember - please send me an email or comment if you know who gifted this or if you know the artist who created this adorable piece! The following pictures are some of the final images I photographed in the Reagan museum - images from an era that deeply affected the collective psyche and lives of Gen Xers. I only had three short hours to spend at this museum, and those three hours turned into ten blog entries. I wish I could've chronicled more. I encourage other Xers to go there - to even spend a whole day there so that you can experience it fully for yourself - to look back on the major events that happened in that tumultuous and fascinating era of history. Above: a photo I took of Reagan's old notecards. He had a system where he would write down thoughts or quotes that inspired him and then draw from them for speeches. These words, imprinting themselves in pixels in my camera, were the words that have imprinted themselves into the soundbites of our collective memory. Above: Air Force One. This plane holds a lot of history from within. Photography is not allowed from the inside, but you are allowed to walk through. It is a mix of fascinating and eerie, because it is such a time capsule. There were seven different American presidents transported on this plane. This plane took Nixon home from his resignation, it took Carter to meet hostages in Iran, and it took Reagan to various countries during the Cold War. Above: one area of the museum has mementos of the Reagan Assassination. In high school film criticism, I remember learning about how a hand held camera adds extra tension due to the shaking that becomes apparent on film. You can tell by this photos that my hands were shaking as I stood over the jacket Reagan had been wearing on March 30, 1981. It was intense to be so near all this - especially while a continuous loop of the footage of the assassination attempt was streaming to the side with gun shots that were very audibly ringing over and over again. Sometimes you don't realize how much something has affected you until you revisit it many years later. It was strange to be standing inches away from the dark blue jacket present on a day that altered the course of history. Above: The White House presidential oval office as it looked during the Reagan Administration. The Reagan Library and Museum in California isn't so much about a specific president or political party, but more about an era - the 1980s. It inadvertently became a chronicle of the formative years of Gen X, because it is is a visual story of the major world events that affected us in our youth. Among other things, this series covered the fall of the Berlin Wall and the Tiananmen Square Protests of 1989 since many Gen Xers say these were the two most important events that affected our generation during the 80s. There were other geopolitical issues mentioned at the museum from that era that included South America, the Middle East, and other places. Each one of these events affected the collective psyche, but they affected people as individuals in different ways depending on where they were living. Many of us were (and still are) haunted by the Chernobyl Disaster which is mentioned in the museum. This is something that still affects people in the present, which is why I didn't want to chronicle it as a piece of history. Instead, I plan to do a whole Chernobyl series later this year. Another issue documented at the museum that partly took place in the impressionable years of Gen X was The Troubles in Ireland and the UK and I hope to do some writing about that in the future. There is so much history in those years that it can't really be limited to a series of ten posts, so beyond this series, I will keep telling the story. A lot happened in the formative years of Generation X and this is a big piece to understanding who we have become today. (c) 2012/2013 - All photos from the Gen X Chronicles taken by Chloe - original images from the Reagan Library and Museum in Simi Valley, CA. All rights reserved. Among the exhibits at the Reagan Museum, there is an exhibit on The Tiananmen Square Protests of 1989. It is in the area of the museum that is about heroism. Gen Xers and almost anyone around in the 20th century remembers seeing images and footage of the violence at Tiananmen Square on the news as it was happening. 3,000 students on a hunger strike for reform turned into a million protesters in and around the Square. The footage below of The Unknown Rebel, a nameless man chose to stand his ground after the Chinese government forcibly removed protesters in and around the Square. This brave young man, most likely a Gen Xer, refused to yield to a long line of government army tanks. He eventually came to symbolize all that happened during the Protests. The Unknown Rebel, also known as Tank Man is holding two shopping bags as he makes his statement. It seems as if he could've been running a mundane errand and then all the sudden he decided to do this - to change history. One of the most powerful demonstrations that can take place on this planet is a non-violent protest - there is something so...morally profound about it. What if every human being is called to be a prophet in some way in their lifetime? There are different ways to define a prophet, but one way is this: someone who stands against injustice, and who brings to light what is morally profound. What if every human is at the very least supposed to have one monumental moment of time in which you are supposed to step forward - either with your words or your actions? Maybe that moment will come in the most unexpected situation. Maybe you'll be going through the motions of life on a regular day - like coming home from the grocery store - and an opportunity to do something extraordinary will lay before you. Your profound moral moment may change another person's life, or your life, or the world. Part of the issue of living out a prophetic moment is that you must consider the cost. Sometimes it comes freely, but more often it doesn't come cheap. Standing up for your rights or someone else's at work can mean a job loss for one person, standing up to some other power in your community may cause the very loss of your community, or worse. Sometimes, it isn't your moment because you are in a place of just trying to survive - you are not in a place to rock the boat, but in a place where you are just trying to keep floating. I've been there. However, when your monumental moment comes, you may find yourself in a situation when you are strong enough and able enough and ready enough to handle the cost of standing up to someone. When you do, I hope that you speak truth with all clarity or that your actions bring those listening to their knees. The Unknown Rebel is considered to be one of the most important people of the 20th century according to Time Magazine. Life Magazine put this is on its list of the top 100 images that changed the world and stated that a second hero emerged as the driver of the tank refused to crush the man, and instead chose to drive his killing machine around him. Of the billions of images I have been exposed to through media throughout my Gen X existence, this is one of the most profound. I am overwhelmed with hope every time I see it. There is no clear answer as to who this man is or what became of him. Gen Xers watched Beijing on the news in horror of what kind of a world we were growing up in. Many suffered from, or lost their lives as a result of the violence of June 1989. It took many of us on the other side of the world years to really process, as we were going through so many crises of our own. Through all of Gen X's lifespan, the world was (and continues to be) in a Crisis era according to historians and others. I will venture to say that in the moments of this video, the Crisis of our world became temporarily suspended. I would venture to say that grace became suspended in the universe when the driver of the tank chose non-violence as he tried to go around the Unknown Rebel, and as the Unknown Rebel used non-violent action to make his point. This image - this man standing in front of a tank - is one of the most iconic images of the 20th century and one of the most intense images ingraved in the psyche of Gen Xers around the world. Like the Tao, the "eternally nameless" concept found in Chinese philosophy and various Eastern religions, this nameless man in his own morally profound moment showed us something extraordinary and shifted our universe. Generation X in China is sometimes referred to as "a nameless generation." The concept of "effortless action" associated with the Tao can take place when a person easily does what they are called to do in a particular moment of time. You can get to a place where something you believe strongly about becomes so intense within you, that it seems necessary and even effortless to act upon it. Because of the Unknown Rebel's message, we have never forgotten him.